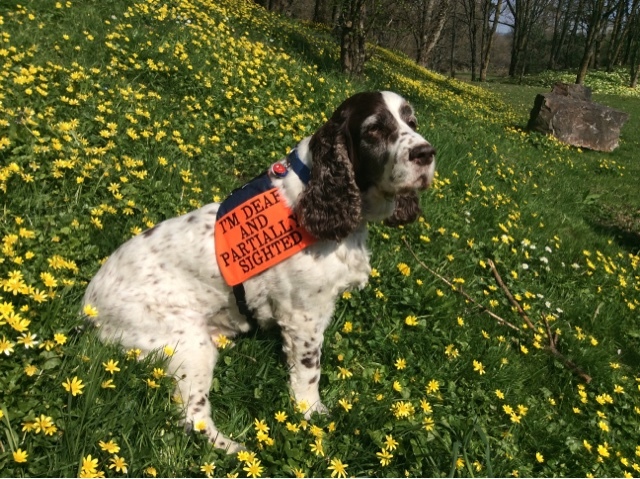 Today is International Deaf Dogs Rock Day so I thought I'd share a few photos of Henry. We adopted Henry in 2008, and he sadly passed away earlier this year aged 15. When we adopted Henry he had major problems with his ears. He had a lot of ear mites and ear infections that had been left untreated. For the next few years he had repeated infections and this took a toll on his hearing. By 2012 he was completely deaf. 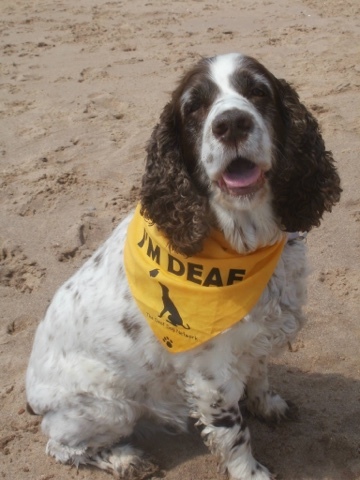 Henry coped remarkably well with his hearing loss, most people couldn't tell that he was deaf unless he had his 'deaf dog' bandana or coat on. He was still extremely confident, didn't startle easily and lived a happy, active life. It didn't take us long to relearn how to communicate with Henry either. Luckily he already knew a lot of hand signals for commands like 'sit' and 'down'. This is because I often have problems with speech so I regularly use hand signals as well as verbal commands. It definitely made things easier for both Henry and us when he lost his hearing. The thing that did take us a while to learn, was having the confidence to let Henry off lead again. 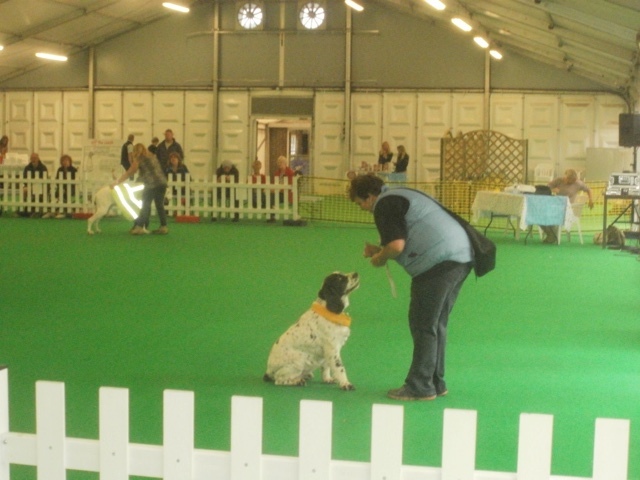 We initially just used long leads, but soon Henry had to learnt to keep checking in with us and to respond to arm gestures. You could sometimes look a little odd waving at your dog instead of calling him though! We only let him off lead in safe quiet places where he couldn't accidentally run into danger. We live in the country so there were plenty of safe places to take him. By the age of 13, Henry had also started to loose his sight. He liked to stay near us, but otherwise he was still a happy active dog. His sense of smell became extremely strong and he used that to recognise people and locations and to safely explore his world. Henry was an amazing dog who didn't let his disabilities pull him down - he is a great inspiration to me. I miss him very, very much but I have some amazing memories of him to look back on. Also if you're in the UK, the Deaf Dog Network are very helpful. 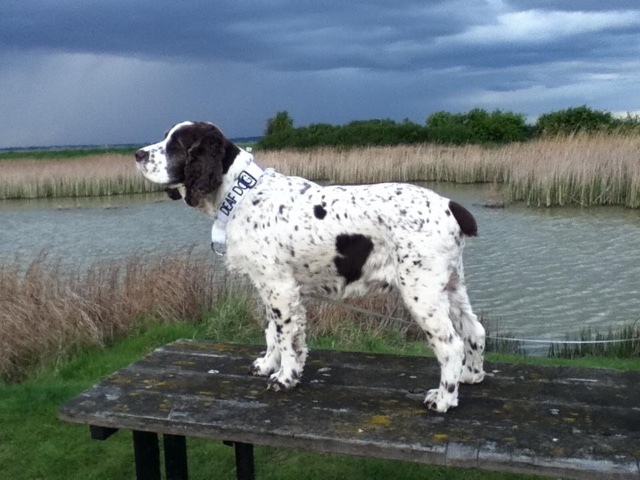 They also post details of lots of deaf dogs needing homes in the UK.